Signups are now open for our 12th Portfolio Review Week! 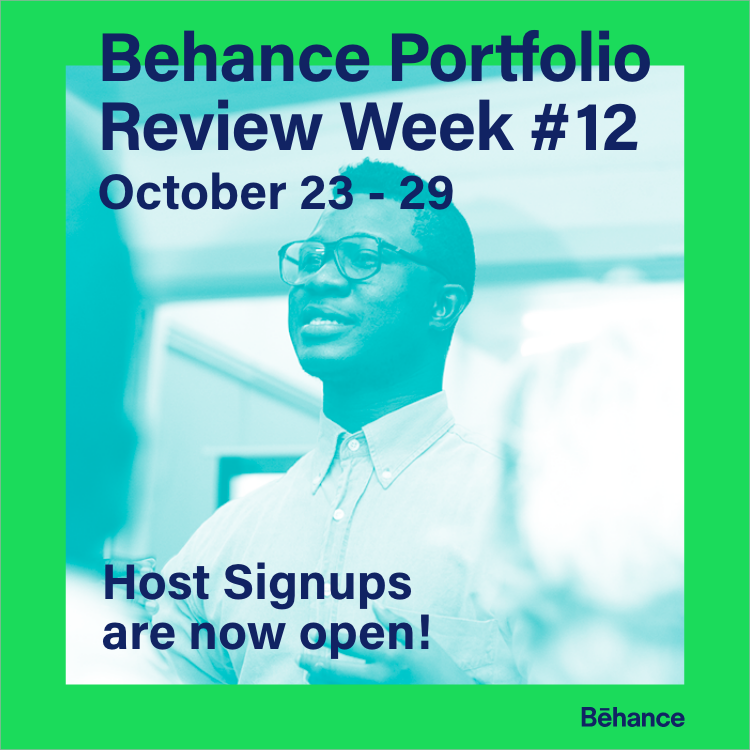 Twice annually, Behance presents Portfolio Review Week, a week of live, community-organized events by and for creatives across the globe. Portfolio Review events are hosted by companies, organizations, and individuals interested in connecting their creative community, and attended by creatives looking for inspiration and feedback on their work — we hope you’ll be a part of it! Become an official Behance Portfolio Review Week host! Portfolio Review organizers can be anyone with a passion for connecting their creative community. As an organizer, you’ll have the chance to provide a venue for creative inspiration and valuable feedback for your community, with the support and power of Behance. To get started, create an event page and add it to our official PRW event hub! Attend an event! Behance Portfolio Review Week brings the talented and dynamic Behance community into offline spaces, empowering creatives like you to share your work and develop your craft. Find an event near you! To see more of what to expect at a Portfolio Review Week event, check out our Flickr and Pintrest pages!